Myanmar passport-holders can travel to just 42 out of a possible 218 countries without applying for a visa. 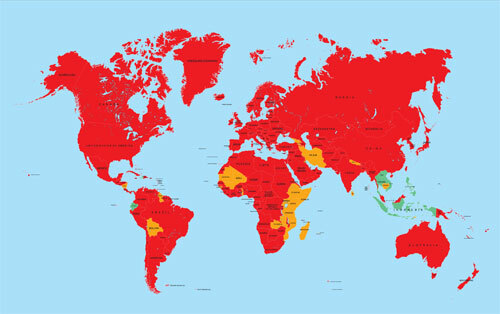 This ranks 10th-last globally, tied with North Korea and conflict-stricken Burundi. While some visas are relatively simple to apply for, many involve an arduous process that can require invitation letters, proof of assets, certificates of employment and more. It’s a fact that Ma Khin Myat is all too familiar with. She has so far travelled to five countries and said it was “very difficult” applying for some of the visas. One example cited was Taiwan. Ma Khin Myat said she needed to first go to the Ministry of Foreign Affairs in Nay Pyi Taw then to the Taipei Economic and Cultural Office in Bangkok, only to find her paperwork was incorrect. “Visa processes are discouraging young people like me from traveling,” she said. Negotiating these labyrinthine processes is a big part of Aung Myat Lwin’s job. The travel agent at Oriental Century organises a variety of visas on behalf of his clients. “We often need many documents from our travellers,” said Aung Myat Lwin. But he said there had been some recent good news on this front. 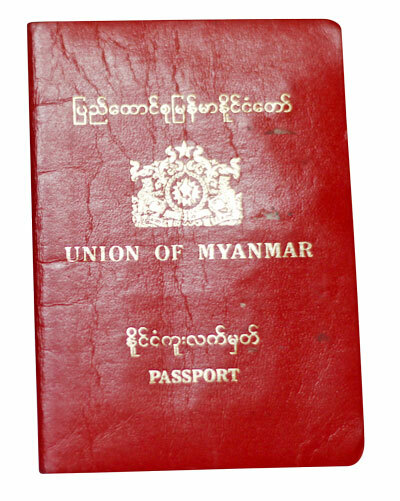 Myanmar's passport is one of the most restrictive in the world. Since September 2015, Myanmar peopleno longer need a visa to visit Thailand if arriving by air for trips of 14 days or less. Aung Myat Lwin said he had noticed a spike in travel to Thailand since then. Myanmar passport holders can also enter six other ASEAN countries visa-free: Vietnam, Cambodia, Laos, Indonesia, the Philippines and Brunei. ASEAN member states have been discussing a visa-free travel arrangement for the entire bloc since 2006, but to little avail. Several ASEAN bodies endorse this idea, such as the ASEAN Tourism Association (ASEANTA). Clemente said that visas inevitably meant much more advance planning. It remains unclear how much time and resources the Ministry of Foreign Affairs (MOFA) is investing in new bilateral visa-free arrangements. But the issue seems to be on the radar of officials. He said such arrangements would also have economic benefits for both the countries concerned. The Myanmar Times contacted the embassies of Australia, Japan, Singapore, South Korea, the United Kingdom and the United States in Yangon. Myanmar travellers need a visa for all of these countries. Those that replied indicated no immediate plans to change visa arrangements despite Myanmar’s ongoing political and economic developments. However, spokespeople for the Australian, Singaporean, UK and US embassies said they were committed to further assisting Myanmar people navigate their visa processes. The Japanese and South Korean embassies did not reply. On a more positive note, Trevor Wilson, a former Australian ambassador to Myanmar who now works at the Australian National University’s Department of Political and Social Change, said the process of actually obtaining a passport here had dramatically improved. He said that the lifting of residual sanctions against Myanmar could see the passport gain improved standing internationally. “The new NLD government may [also] result in an improvement in the treatment accorded to Myanmar passports by some other countries,” he said. In the meantime, Khin Myat will keep trying to travel, despite potential visa obstacles. She said there will hopefully be a few more international entries on her travel blog soon. “Travel is the best education. It can give you ideas. It can change you,”she said.